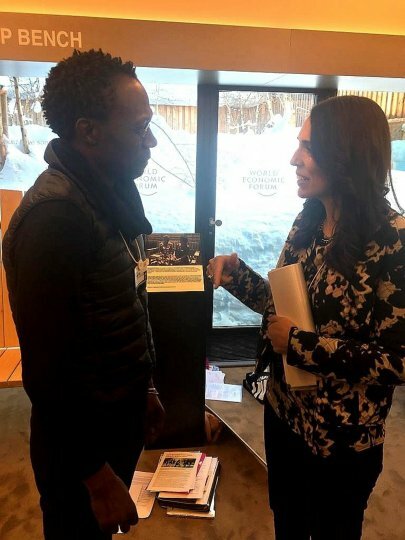 Dr Dixon Chibanda, Associate Professor of Global Mental Health at London School of Hygiene & Tropical Medicine and CGMH member, joined world leaders last week to talk about mental health at the World Economic Forum annual meeting in Davos, Switzerland. Dixon sat on a panel alongside Prince William and New Zealand Prime Minister Jacinda Ardern, to discuss global mental health and its promotion across the world. The panel discussed stigma, workplace mental health, wellbeing budgets, as well as Dixon’s Friendship Bench programme. Dixon is the founder of the Friendship Bench, a programme in Zimbabwe which trains grandmothers to help people with mental health conditions navigate their problems through problem-solving therapy. 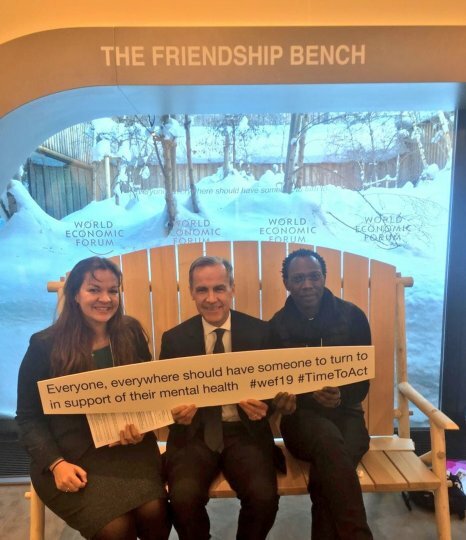 Dixon brought the Friendship Bench to Davos ‘as an example to world leaders of one of many simple but proven programmes that, with sufficient funding, could improve mental health for millions of people’, and highlights that mental health projects do not have to be expensive to be highly effective. 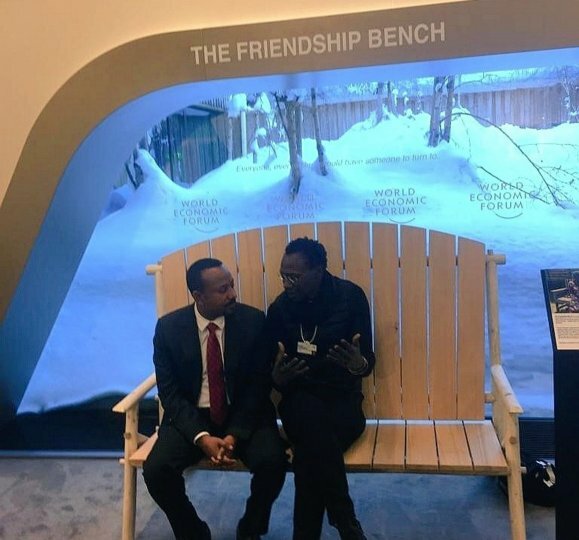 While at Davos, numerous leaders joined Dixon on the Friendship bench, among them were Ethiopian Prime Minister Abiy Ahmed, New Zealand Prime Minister Jacinda Ardern, and Governor of the Bank of England, Mark Carney. Dixon collaborates extensively with King's College London researchers (Dr Melanie Abas and Professor Ricardo Araya) as well as with other LSHTM researchers (Professor Helen Weiss and Dr Lorna Gibson).